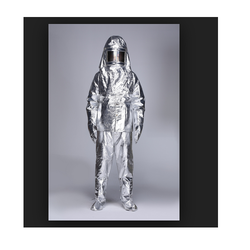 Our product range includes a wide range of Fire Entry Suits such as Fire Suit ( Proximity 3 or 4 layer, Entry Suit), Fire Suit and Welding Blanket. 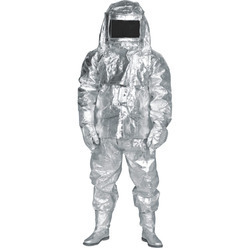 With the vast expertise in this domain, we have been able to offer Aluminized Fire Entry Suit( Proximity 3 or 4 layer, Entry Suit) at competitive market price. Manufactured using high quality metals and fabrics, these suits has designed to use in the mining and construction sites to protect from injuries. Offered suit is comprises of a pair of five-finger glove, firemen's helmet, anti skid leather boots and other accessories. To offer defect free range of products, our quality professionals check each and every piece of products before their final dispatch. We are one of the few names to offer Welding Blanket that is made using fire resistant fabric sourced from credible vendors. Widely used in hot welding works, it is highly demanded in the market. Checked on various parameters, the whole range of the welding blankets offered by us is assured of a premium quality. Also, this offered welding blanket is known for its fine stitching and tear resistance. 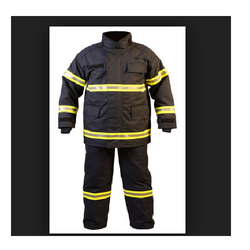 We are the prominent company involved in the providing Nomex Fire Suits. Reckoned for their fire resistance and customized view, these suits are made by using best raw material by our expert team. These are available in variegated sizes, designs and styles to fulfill all requirements of the customers. Furthermore, these are tested under various industries laid parameters. Moreover, these nomex fire suits are offered at convenient rates. 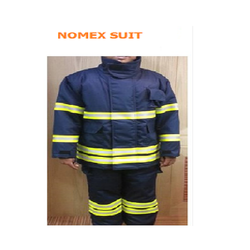 We are leading manufacturer and supplier of Fire Proximity Suit. Comes with or without provision of BA Pouch. Suitable for radiant heat upto 800 degrees celcius.